Fetlar Cafe will be offering a traditional Sunday lunch on Sunday the 29th May 2011. With an evening specials night on Saturday the 4th of June. For bookings please telephone 01957 733369. Please leave a message if your call is not answered. We will phone back to confirm the booking. To download the latest cafe newsletter (pdf) giving details of upcoming events please click here. A peerie taste of Fetlar runs from the 17th to the 19th of June and there will be three days of fantastic food at the cafe. 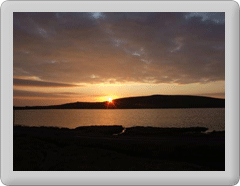 Please visit the peerie taste of fetlar page for the latest information.